In a bid to determine whether or not Australia’s lenders were appropriate to move their rates independently of the cash rate, the Reserve Bank of Australia has launched an investigation into the true cost of funds. 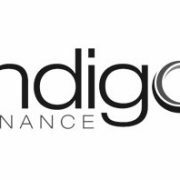 http://www.indigofinance.com.au/wp-content/uploads/2017/03/default-v2.jpg 198 300 wsadmin http://www.indigofinance.com.au/wp-content/uploads/2017/01/indigo-finance-logo.png wsadmin2012-06-25 01:11:022017-03-09 02:47:02Higher costs of funding? With the Australian property market an increasingly hard nut to crack, success now requires a little bit of fresh thinking. All too often, people complain that they’ll never be able to break into the market because it’s just so expensive to buy a house in their neighbourhood. Others dream of property investment, but the idea of another $500,000 mortgage on top of their own home loan is too much to bear. Little do they know, it is not the cost of real estate that is stopping them from cracking the market, but the way they’re thinking about it. Property investment needn’t break the bank. Moreover, the best investments are not always found in the top-end markets. One strategy that is growing in popularity among investors – both first-time and experienced – is investing in suburbs at the edges of our capital cities, where it’s easy to pick up apartments and houses for under $300,000. Many such markets offer a great investment selection as they not only offer an affordable entry point but also compelling returns. Take a $250,000 property, for example, that brings in a rental income of $350 per week. This equates to a gross rental yield of more than 11 per cent. A $600,000 property by contrast, though more expensive, may bring in a rental income of $600 a week, equivalent to a gross rental yield of just over five per cent. Less expensive property is also much less cash-intensive, making it easier to fund and generally a much lower risk strategy. For first time buyers, this can be a great way to dip your toes in the property market, while continuing to rent in the location you love. The rental income will go a long way toward paying down your debt and you’ll be building up that much needed equity to get your property investment portfolio or dream home aspirations on track. The same goes for existing home owners. Just because you can’t afford a fancy unit in the CBD, doesn’t mean you can’t buy an investment property.